EnviroMap was developed several years ago, so our time at IAFP helps us move the product forward and provides insight on its real-world application. We have customers who use it for finished products as well as environmental testing. Some feel that the best feature of EnviroMap is reporting, while others claim it is the control/visibility over their local environmental program as well as their enterprise environmental management. I’m also fairly certain the local plant folks would all agree it has made their lives easier and freed up time to devote to other tasks. EnviroMap brings a company’s environmental monitoring program into the digital world with features such as automated scheduling, randomized site selection and predetermined corrective actions. This automated tool improves environmental monitoring at the local plant level as well as on an enterprise level by allowing users to access data from anywhere and analyze historical data to recognize trends. When we speak with potential clients, we often highlight the control and consistency that EnviroMap brings to its customers. We stress this in most of our sales presentations since it is a major issue confronting environmental monitoring programs at companies of every size. This is further compounded in today’s world with the frequent turnover of entry-level employees. EnviroMap offers enforced control and consistency of an environmental program, not only at the plant level, but also across the enterprise – especially in times of change. Most of our surveyed customers point out the stability provided by EnviroMap is one of the major benefits of the tool. However, our conversations at IAFP this year differed from those in past years. As we met with several of our existing customers, they focused the conversation on the significant changes occurring within their environmental programs. This included new and more robust sampling plans at each of their facilities, new swab points in adjusting their compliance programs and recommendations on how to accomplish swabathons efficiently and effectively. Change seemed to permeate all of our conversations. As we discussed the numerous issues that always accompany change of any degree in our world, it occurred to me that instead of hearing complaints, we were receiving compliments. In years past, change in the industry was seen as a huge problem to be dealt with, whether it needed to occur in one plant or across the enterprise. However, this year our customers weren’t talking about how difficult it would be to implement change, but instead how the changes were being readily addressed with the help of EnviroMap and our expert Implementation Team. Our team helps our customers fit their current EMP design into their EnviroMap site with customization and flexibility built into the program. In a lot of other software products, any change requires hours of computer programming time and multiple meetings requiring significant additional investment. But this is simply not the case with the EnviroMap tool. EnviroMap offers the flexibility to change to meet most new testing needs, which is backed up by our high-touch Implementation Team who stand ready to help our customers to whatever degree necessary. This year’s visit to IAFP brought the realization that any software program is only as good as its ability to cost-effectively adapt to the changing needs in a customer’s production facilities. The flexibility built into any product is paramount in achieving the goal of holistically servicing the needs of the customers they serve. Luckily for our EnviroMap customers, flexibility and customization are at the heart of our product. If you attend an EnviroMap demo, expect to hear about the software’s flexibility and customization to meet your needs, in addition to the cultivation of control and visibility at the plant level or across an entire enterprise. Interested in scheduling an EnviroMap demo to learn how it can help you comply with recent food industry regulation changes? Contact us now! EnviroMap can be customized to meet your specific environmental monitoring needs. Don’t believe us? Check out our most recent case study where Mérieux NutriSciences brings EnviroMap into its own labs and sees success! 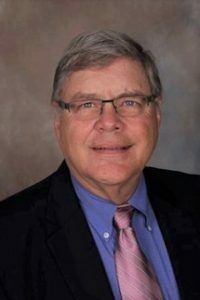 Larry C. Bowman has over 20 years of experience in designing and implementing data management software solutions in both the food and energy markets. As President/CEO of Management Solutions of Virginia, Inc. Mr. Bowman provided leadership in the development of several Laboratory Information Management Systems (LIMS), Quality Compliance software, and spearheaded the development of EnviroMap. EnviroMap is a cloud based software solution that comprehensively manages environmental monitoring programs. It includes the ability to control environmental sampling across multiple facilities, enforce sampling protocol, provide proactive notifications for contaminated areas and construct comprehensive trending reports. In October of 2015 Mr. Bowman was named President of EMAP Holdings, LLC. EMAP Holdings is a joint venture between Management Solutions of Virginia and Mérieux NutriSciences which joined forces to provide all-inclusive environmental services to the food industry. Earlier in his career Mr. Bowman held a number of Senior Management and Quality Consulting positions with both technology companies and general business enterprises. He holds a Bachelor of Science, and Master of Science from Virginia Commonwealth University, and has taught college level courses in Entrepreneurial Technology, Marketing, and International Business. In addition, he has attended numerous training programs including Senior Executive Training at the University of North Carolina at Chapel Hill. Technical Tuesday: Will Meeting GFSI Requirements Help Me Comply With the Preventive Controls Rule (FSMA)?